Looking for commercial vehicles for sale near Madison? 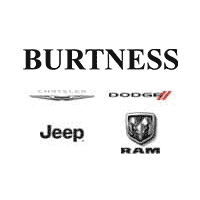 Look no further than our inventory of RAM commercial trucks and vans here at Burtness Chrysler Dodge Jeep Ram. Choose from the powerful RAM 2500 or find the cargo space you need in a RAM ProMaster van. Whether you need a work truck or a fleet of vehicles for your business, we’re here to help you get the job done. Browse our selection of commercial trucks and vans online to discover the perfect vehicle for your professional needs. If you don’t see exactly what you’re looking for, contact us and we’ll be happy to help you find the vehicles you need. For more information about our RAM commercial vehicles, feel free to download a brochure, contact us, or visit our showroom in Whitewater near Janesville.